All kinds of stark images come to mind when people think of climate change: huge chunks of glaciers breaking off and falling into the sea, confused animals searching for ice, thick clouds of smog. Now, thanks to warming temperatures on Mount Denali, the world might have another (stinkier) image to conjure when they think about climate change: human poop. And not just a turd here or a dropping there – we are talking 66 tons of human feces, unearthed as the ice crevasses once used as poo receptacles begin to melt. 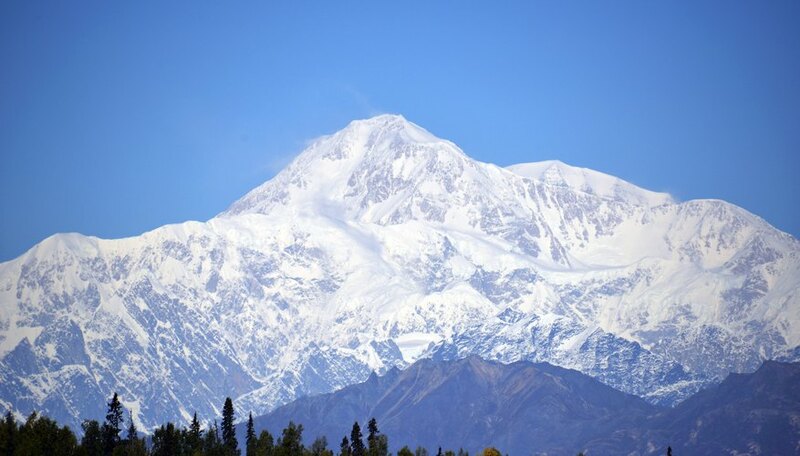 Climbers have been called to Alaska’s Mount Denali for decades, hoping to make their way to the top of the 20,310-foot summit. Many come as an effort to complete their Seven Summits, a mountaineering challenge where explorers attempt to scale each continent’s highest mountain. As North America’s highest mountain peak, Mount Denali draws climbers from around the world. Many spend about two weeks on the mountain making their way to the top and back down again, appreciating the stunning views of glaciers along the way. The problem is that, well, everybody poops. And when they’re atop a frigid mountain surrounded by nothing but glaciers, they tend to use those glaciers, and the crevasses within them, as toilets. In recent years, officials have ruled that climbers to be more conscious about the footprints (or poo prints?) they leave behind on the mountain, and many tour guides have begun to pack up all the waste their clients generate, disposing of it responsibly once they are back on flat land. How Will Climate Change Unearth The Poop? A few responsible tour guides in recent years doesn’t erase the decades of climbers who didn’t think twice about emptying themselves and burying the deposits deep beneath old snow or into glacier ice, though. Now, as temperatures are rising rapidly as a result of climate change, glaciers around the world are deteriorating. That’s especially true in Northern Alaska, which has warmed twice as quickly as the rest of the country. A new report from glaciologists warns that some of it on the lower part of the mountain could be unearthed as soon as a few years from now, with more exposed higher up the mountain for 200 or 300 years to come. Even more unsettling, those experts expect that poop to be pretty well preserved. Instead of dried out, harmless feces, this poo might be wet, super stinky and, most dangerously, biologically active. That means that in addition to stinking up the place, it could lead to the spread of harmful diseases such as E. coli. In addition to showcasing the effects of climate change, the potential doo-doo disaster on Mount Denali is demonstrating the human toll of adventure. Some of the planet’s most stunning peaks are becoming crowded with daring climbers who are thinking more about the picture they can get atop a summit than how they can help keep those summits pristine. That’s especially evident atop Mount Everest. Some parts of the towering mountain have become too dangerous to climb thanks to melting glaciers that make paths slippery and unmanageable. In other areas of the mountain, melting snow and ice has even exposed body parts of some of the hundreds of climbers who have perished trying to summit. But other parts are just too cluttered with trash to climb, leading officials to try ambitious methods of massive waste removal such as recruiting yaks to carry 200,000 pounds of waste off the mountain. That human toll isn’t necessarily a reason to stay home. Who wouldn’t want to explore everything this planet has to offer? But before you go, research ways to minimize your footprint and give back to the communities you’re visiting. Give that yak a break -- it shouldn’t have to pick up your poop for you. Dragani, Rachelle. "Climate Change Is Getting Stinky: Here's How It Could Unearth Literal Mountains Full of Poop." Sciencing, https://sciencing.com/climate-change-is-getting-stinky-heres-how-it-could-unearth-literal-mountains-full-of-poop-13718284.html. 10 April 2019.